The grandeur of Mughal architecture and eye-catching natural beauty is what you will find at the famous Mughal gardens of Srinagar. 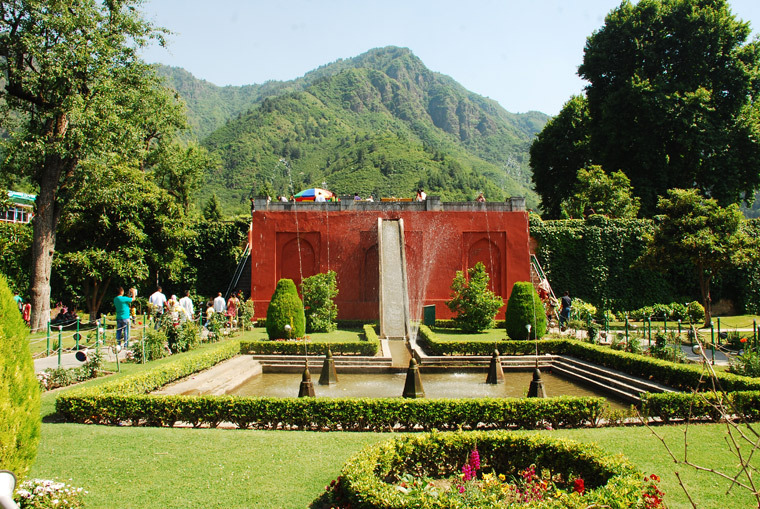 These gardens are one of the most charming and preferred places to visit in Srinagar district. Mughal gardens have a distinct rectilinear layout and are enclosed within walls. They have many attractive features like a variety of beautiful cascades, magnificent horticulture, foliage, pools, fountains and canals inside the garden. There are many Mughal Gardens built by the most powerful dynasty of its time, however, the ones in Srinagar are considered to be the best. This is because these gardens delve into the natural beauty of Kashmir, with the delightful Dal Lake in their backdrop. • Shalimar Bagh: The literal meaning of Shalimar is the abode of Love. This garden is a popular choice of visitors as it is spread across a large area with extended foliage and many rare flowers. Amidst the chirping birds and lush green surroundings, you can take strolls and click memorable pictures. This garden is connected through a channel to the northeast of Dal Lake. The cover of the garden was earlier a village built by the Kashmiri ruler Paravarassna II. The original garden was then commissioned by the Mughal Emperor Jehangir in the year 1619 for his queen Noor Jehan and named it Ferrah Bakkash. It is roughly rectangular and has many reservoirs which are connected by a canal. Various parts of the garden have fountains and cascades that add to their beauty. • Nishat Bagh: It is comparatively smaller than Shalimar Bagh, however, it is believed to be more splendid and intensely attractive. It is carved out of a hillside and hence, consists of 12 terraces with old chinars representing Mughal architecture. Nishat Garden was laid out by Asaf Khan in 1633 A.D. With several vivid flowers and fountains, this garden reaches out to the Dal Lake and the time spent here is considered memorable by many. • Chashme Shahi: Literally means the Royal Spring, which still exists today and is subject to major tourist attraction. It was built by Jehangir too, in the year 1632 A.D. It is connected to another prominent garden called Pari Mahal or the palace of fairies, which was constructed by the eldest son of Shah Jahan, Dara Shikoh and used to be a school of astronomy and astrology. These magnificent and picturesque Mughal Gardens are a joy to watch for tourists. 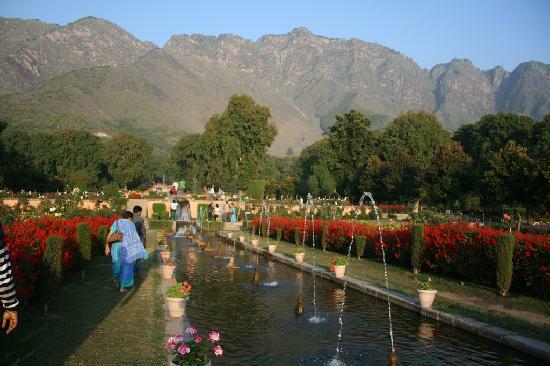 Thus, to experience nature’s beauty at its very best, visit the famous Mughal Gardens of Srinagar.